Older people are constantly being told that exercise and remaining active is vital for a happy and healthy life, but finding the right type of physical activity, particularly past the age of 60, can be quite difficult. One type of exercise that’s gained attraction in recent years is known as interval training. Said to offer huge health benefits, many fitness experts claim it’s a type of training people should be introducing to their lives. But what is it and how does it differ from the endless number of exercises already available? “Interval training can simply be defined as alternating between periods of anaerobic work and aerobic recovery,” Ben Fisher, national fitness manager for Orangetheory Fitness Australia, tells Starts at 60. The body’s aerobic system relies on the heart, lungs and circulatory system so oxygen can turn carbohydrates into energy. This system allows people to walk and run long distances. The anaerobic system differs because it’s the body’s way of producing energy without oxygen and helps people complete activities such as heaving lifting, running or sprinting. Interval training works by alternating between these two systems, using short, high intensity sessions of physical activity with recovery. While the words “high intensity” may sound daunting to some, that threshold is different for everyone and one person’s high intensity threshold will differ from another’s, meaning you only need to push yourself to your own personal limit – whatever that may be. This type of training can help people lose weight, and like most other forms of exercise, improve heart health, reduce stress levels, improve rest and sleep and increase overall health and wellness. Fisher sees people as old as 75 working out using interval training, but stresses it’s important for people of any age to know their body and what type of interval training is best for them. 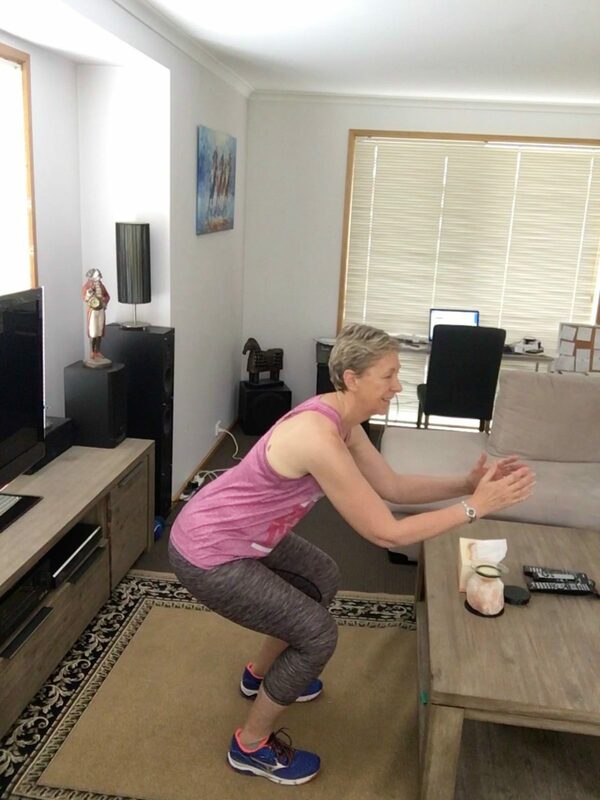 While gyms and facilities provide an array of equipment and trainers that can help with this type of activity, getting started is generally something most people can do from home, provided they have talked to a GP or health professional beforehand to ensure it is right for individual needs, abilities and health restrictions. 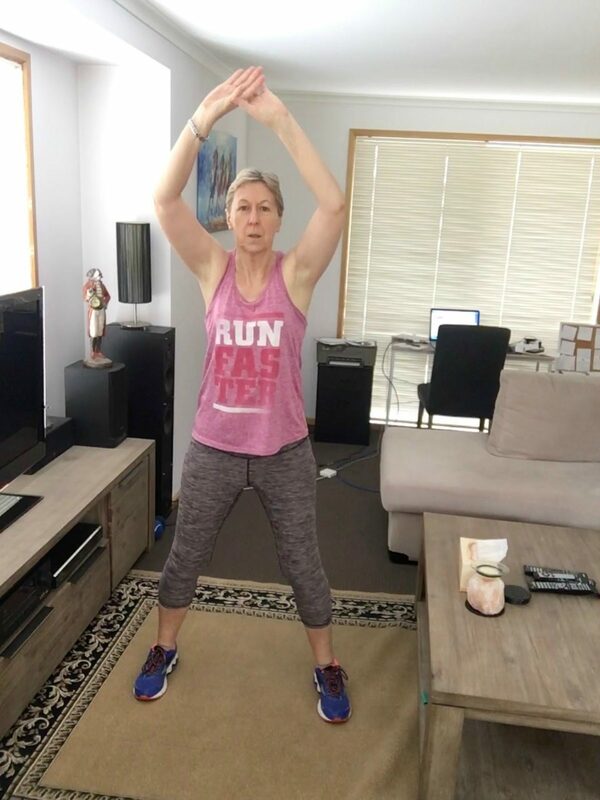 Wendy Hodge, an over-50s health and fitness expert at Wendy’s Way to Health, has provided Starts at 60 with a 20-minute beginners interval workout. Before starting the training, spend between five and 10 minutes warming up the muscles that are going to be used during the workout. Foam rolling is a great way to activate the muscles and ensure the right muscles are being recruited for each exercise. Hodge’s workout lasts 20 minutes and is broken into two sections. Set a timer for 10 minutes and complete as many rounds as possible, moving between exercises without stopping. 10 x bodyweight squats, with feet shoulder width apart. Variations you may like to add: sumo squats (legs wider) jump squats, or adding a pulse at the bottom of your squat. 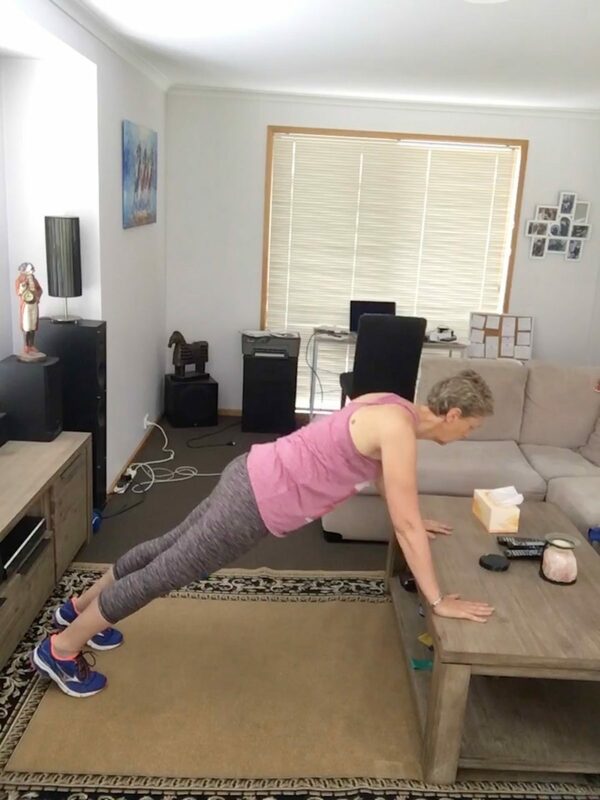 5 x pushups: on your toes if you can, or modify using a bench – start with a high bench like your kitchen counter, and progressively move lower as you become stronger. 20 x jumping jacks. Easier variation is to alternately tap each leg to the side. Rest for 2-3 minutes before starting round two. 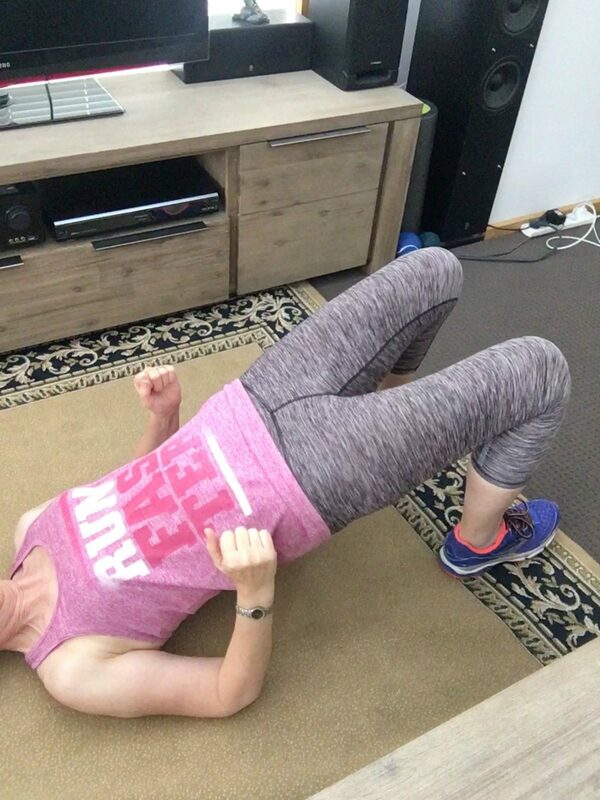 20 x bicycle crunches. Variation is tapping each leg down on the ground instead of extending. 10 x glute bridges. Variations to make these more challenging include single leg bridges, with one leg raised, or pulsing and holding at the top for 2-3 seconds. For people looking to improve their quality of life through interval training, consistency is key. Have you ever done interval training before? How did it benefit your health?